In contrast, the refitting of U.S. airlines’ economy cabins generally involves installing less-bulky “slim-line” seats (which many readers say are also less comfortable), stuffing in extra seat rows to increase revenue (often at the expense of legroom and seat width), and most recently deploying a “basic economy” pricing model that takes away most of the in-cabin amenities that economy travelers had come to expect as their right (like the right to put a carry-on bag in the overhead bin). For that matter, European airlines don’t fare very well in the listing either. 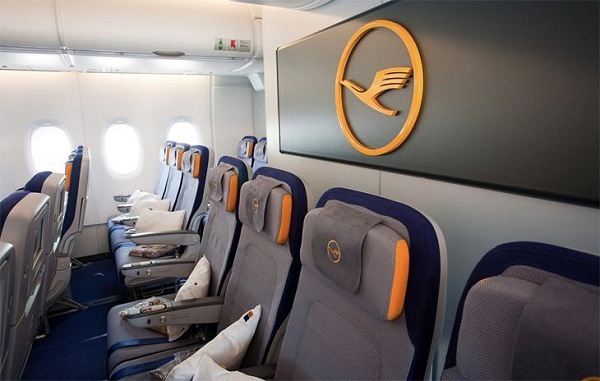 The Top 20 list of economy classes includes only a single European winner – Lufthansa (pictured above) at number 10 (unless you count Turkish Airlines, since Turkey is in between Europe and Asia; Turkish ranked 11th).